Some internet experts are claiming that 204 will be the year of the Internet of Things (IoT). According to this view, IoT is already here but it is just not yet widely known and evenly distributed, and 2014 will see a major breakthrough that will bring IoT to the wider market. In most organizations, information – proprietary as well as from third parties – travels along familiar routes. Such information is lodged in databases, analyzed in reports and then rises up the management chain. But the predictable pathways of information are changing: the physical world itself is becoming a type of information system. In what is called the Internet of Things, sensors and actuators embedded in physical object – from roadways to pacemakers – are linked through wired and wireless networks, often using the same Internet Protocol (IP) that connects the Internet. These networks churn out huge volumes of data that flow to computers for analysis. When objects can both sense the environment and communicate, they become tools for understanding complexity and responding to it swiftly. According to McKinsey, a management consultancy firm, what is revolutionary in all this is that these physical information systems are now beginning to be deployed, and some of them even work largely without human intervention. Pill-shaped micro-cameras already traverse the human digestive tract and send back thousands of images to pinpoint sources of illness. Precision farming equipment with wireless links to data collected from remote satellites and ground sensors can take into account crop conditions and adjust the way each individual part of a field is farmed – for instance, by spreading extra fertilizer on areas that need more nutrients. Billboards in Japan peer back at passersby, assessing how they fit consumer profiles, and instantly change displayed messages based on those assessments. The term, Internet of Things, was first used in 1999 by Kevin Ashton, a British technology pioneer then working as Assistant Brand Manager at Proctor & Gamble. He became interested in using RFID to help manage P & G’s supply chain, and this work subsequently led him to MIT and further research. RFID (Radio-frequency Identification) uses radio frequency electromagnetic fields to transfer data from an object for the purposes of automatic identification and tracking. Unlike a bar code, the tag does not need to be within line of sight of the reader and may be embedded in the object. The definition of IoT has evolved from the time it was first used and connectivity has also expanded beyond the use of RFID. Today, IoT connotes a world where physical objects are seamlessly integrated into the information network, and where the physical objects can become active participants in everyday life, healthcare, business processes etc. IoT advocates see a future of an IoT society where the real physical world, the digital world and the virtual Cyberworld will be integrated. Where are we today in the IoT process? SRI Consulting Business Intelligence sees the development of IoT in waves. The first wave started with the use of RFID tags to facilitate routing, inventorying and loss prevention – all as supply chain helpers. In the second wave, we are looking at Vertical-Market applications e.g. 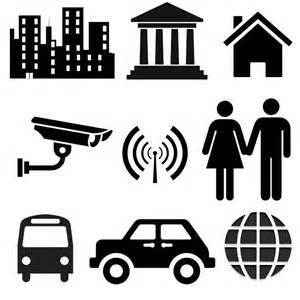 surveillance, security, healthcare, transport, food supply and document management. The third wave, towards which we are moving, is about ubiquitous positioning e.g. locating people and everyday objects. The next wave, which is expected to mature in about a decade, will be the creation of a physical-world web e.g. tele-operation and tele-presence, ability to monitor and control distant objects. Regardless of what we think and prefer for our future, everyday more objects are being put on the Internet of Things. Like it or not, this is going to be our “brave new world” so we had better get used to it. Article Source: EzineArticles by Author Barbara Meynert is the founder of Sage Vita, which means a life of wisdom, advocates a lifestyle that will enable us to live not only longer but also well and to engage in lifelong learning and with the world around us. Come and visit Sage Vita to learn more guidelines and information along a number of dimensions – including physical, mental, spiritual, social, and financial.